John is a member of the RAG’s steering committee. 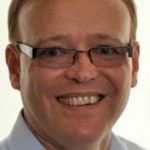 He is the Head of Billing, Collections Risk and Assurance for Tesco Mobile, the UK MVNO. John’s role at Tesco Mobile covers responsibility for managing all aspects of billing, payments, collections and revenue and reference data assurance. John will be a panel moderator at RAG London 2018. He will be overseeing the hotly-anticipated debate about the challenges that smaller telcos face when conducting RAFM.